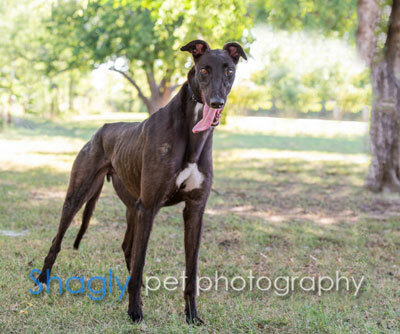 Huey is an almost 2 year old black male born November 2, 2016. His sire is Premier Fantasy and his dam is Golden Sonnet. Huey is the “H” pup in the large litter and was not individually registered with the NGA. Huey decided to look for his retirement couch first instead of trying the racing circuit. It is not known at this time if Huey is small animal or cat tolerant. 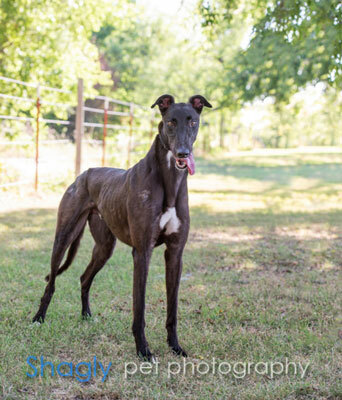 Huey is a sweet-natured, gentle soul with a quiet, calm temperament. Huey walks easily on leash and softly takes treats from the hand. He's curious to meet every person on a walk and isn't too anxious when greeting them. Huey is very respectful with children and medium to large dogs. t only took a few days for him to know which door to use for breaks. Now he will stand in front of that door and/or let a shrill bark to let us know that he needs a potty break. Huey is crate trained, but prefers to sleep outside the crate. He’s free to roam in the house day or night and never chews any item in the house. He won’t jump dog gates and won’t climb stairs inside the house. He understands “COME”, “GO” (to go inside crate) and “NO” (to stop what he’s doing). Huey loves to be petted, groomed and lying next to his human. Nothing would make him happier than having a family to call his very own.